You. The Sun. The Wind. The Water. 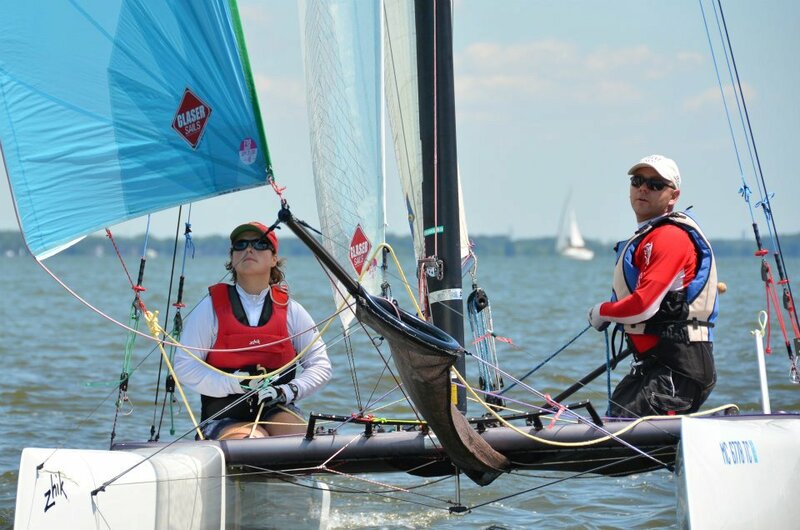 A group of sailors ranging from first year beginners to National Champions. Geared towards having fun through racing. 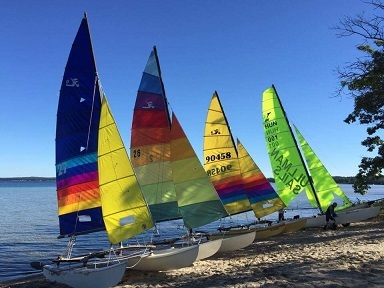 An open club, which means any beach catamaran is welcome to race with us. We get together 8 to 10 times a year for weekend regattas. We don't have a clubhouse or any of the furnishings, but do own all gear required to run a top notch regatta (including a Boston Whaler committee boat). 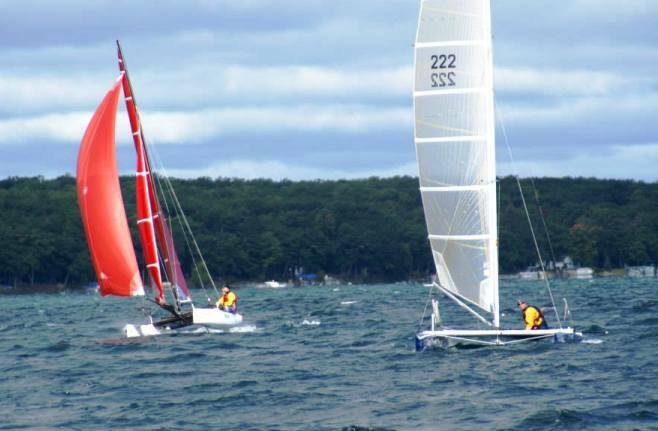 We sail in some of the most beautiful areas of Michigan including Tawas Bay, Muskegon, and Higgins Lake just to name a few. We normally sail out of state parks and camp, although motels are typically close by. Motorhomes are popular. "I've never met a group of people who are both so competitive and also so much fun to hang out with"